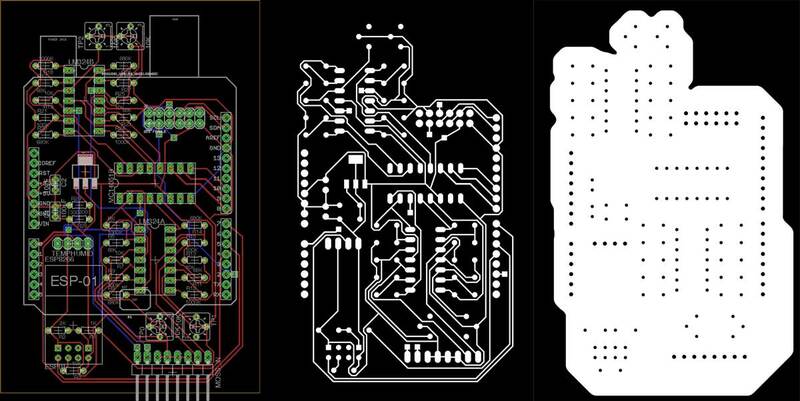 Exporting image files for milling PCBs is a tedious operation. Fortunately, Eagle has a built-in scripting interface. Customized scripts, spanning multitudes of operations, can be launched from the file menu. The following script, based on this one, will output two PNGs, one for traces and the other for the outline and holes. The PNGs can then be coverted to milling tool paths via Fab Modules. 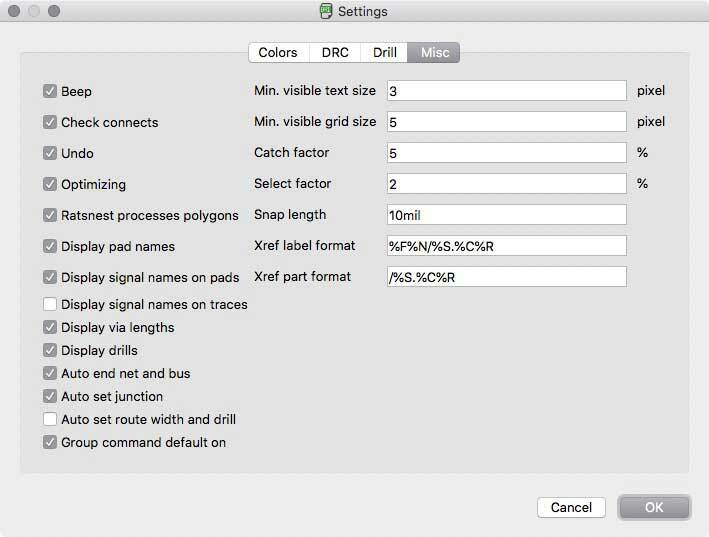 In this line set the DPI and image processing options, in addition to the filepath and output name. Each line should end with an ';'. The last line refers to a custom layer set. You can make these in the layers options, or set it to 'DISPLAY ALL;'. Finally, I cannot find a script for turning off the trace labels. Often, this will not impace the output file, but it can. Enter the command 'SET' to launch an option dialogue. Toggle the 'Display signal names on traces' checkbox. The Pad names are toggled within the script. Save the script locally and launch it via the "Execute Script..." command in the file menu. Use an image processing application to fill in non-cut portion of the outputed outline file. I sourced the basic script from this post. 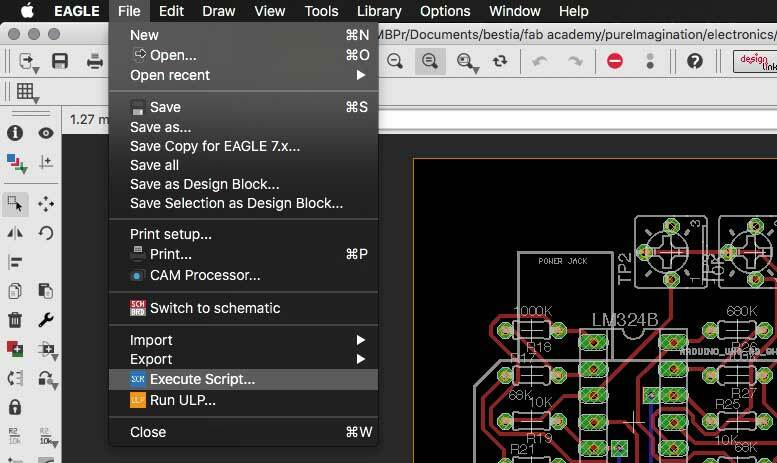 Sparkfun's Guide to Eagle is fantastic.